Heartland Hockey is a very special place on earth situated on an 164 acre campus in a beautiful & scenic setting, in the heart of Minnesota's vacation land. 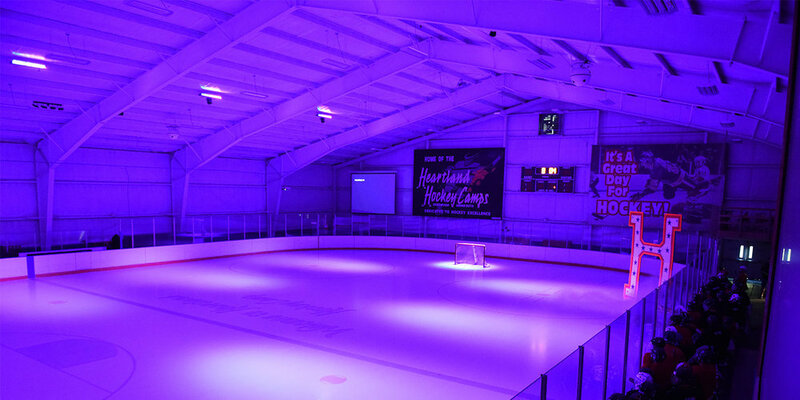 It is the only self-contained, privately owned hockey camp in the world. As a result of this exclusive environment, all of our camp clientele enjoy an atmosphere that is void of distractions and disturbances. WHY CHOOSE HEARTLAND HOCKEY CAMP? Campers grow and learn about themselves, try new things, discover hidden talents and are taught the importance of working hard, having fun, making friends and understanding the value of strong & impressionable work ethic. Our camp experience is designed to help children mature socially, grow emotionally, expand intellectually and soar spiritually. We have a reputation of being very demanding physically. All campers will receive up to six hours of ice time each day. Our two hour morning session is dedicated to individual skill development and the two hour afternoon is focused on team play & group tactics. In the evening, all campers are eligible to participate in our open hockey session. At Heartland, we provide a safe and structured environment where children can interact with positive role models who listen, talk and reflect. 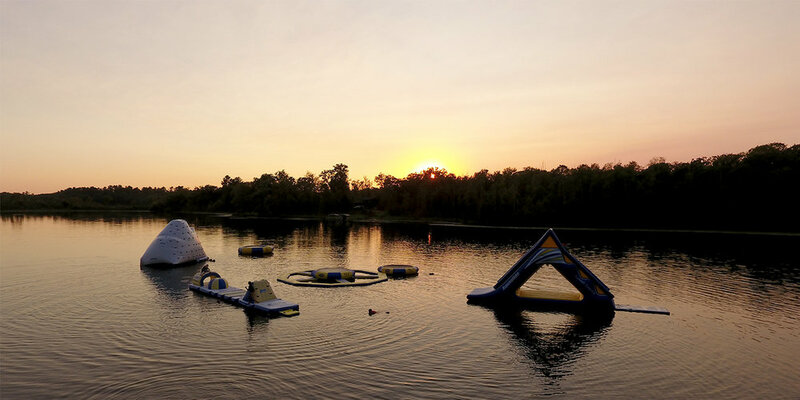 It is through fun recreational activities and challenging training sessions that campers learn to work together, problem solve, take responsibility, develop creative thinking skills and gain confidence. Welcome to Heartland Hockey Camp, located in Minnesota's most popular vacationland, the Brainerd Lakes Area. 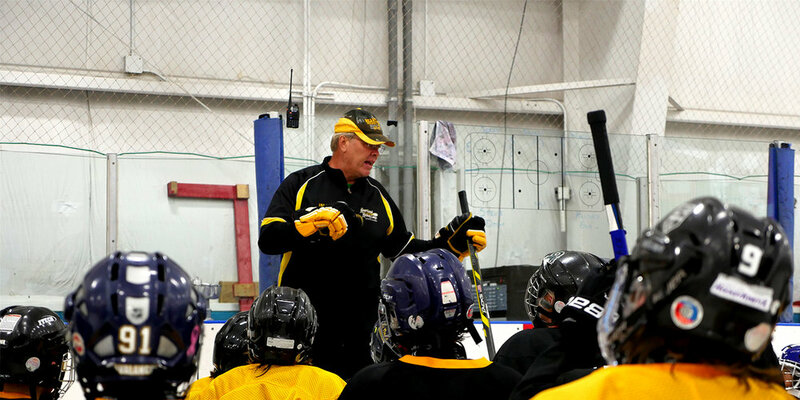 As owners, we are pleased and proud to offer to you our 35th summer season of hockey camps. A week at Heartland Hockey Camp is a tremendous gift that you give to your child. We take this gift seriously and realize the enormity of the expectations you have for your child's summer experience at our wonderful camp. It is our goal to exceed those high expectations in every way possible. As Directors of the camp, we will oversee all aspects of your child's camp experience and we know that above all, you are entrusting us to keep your child safe & secure. We take this responsibility to heart and we work diligently & tirelessly to cultivate an environment of responsibility and care amongst all of our well trained, experienced staff members. Safeguarding your child's physical, emotional and social well being is always at the forefront of our thoughts and guides our actions on a daily basis. We have taken great pride over the last 35 years to develop a wide variety of training programs that emphasize fun & inspire enthusiasm, along with focusing on building a positive self-esteem. In addition, we continue to encourage our staff to commit themselves to teaching campers the importance of personal fitness, as well as focusing on the campers development of both basic & advanced hockey skills. Most important of all, we promote building friendships, being polite & thoughtful & developing quality personal traits. We also encourage our staff to become acquainted with each camper on a very personal level. This has proven to be a very valuable & successful approach to each camper's enjoyment during his/her stay at our camp. In order to reach a higher level of training intensity, we have found that it is important that each camper feels comfortable and confident. Furthermore, there are several factors that make Heartland Hockey Camp a unique & special experience. First, our camp offers 5 mandatory training sessions each day. No other camp can match our demanding, yet fun-filled, daily routine. Second, our facility is reserved strictly for our camp clientele only! Third, no other hockey camp can match the convenience of the close proximity of our ice arena to the dorms, dining room, weight room & condos. Fourth, we continue to upgrade and improve our facility and training programs. Through research, travel and coaching experience, we are able to offer all of our campers the newest trends in hockey training. Finally, as owners, we strive to provide outstanding personal service to all of our camp customers. We take great satisfaction in participating in all camp activities and services. We look forward to the opportunity of providing your child with a memorable, rewarding & positive experience.